Itl is in the form of a clock tower made from rock faced granite. A Latin Cross is recessed into the four stone faces of the memorial with a clock fixed to the centre of these crosses. 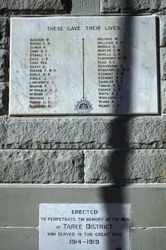 At the base of these crosses is an inset marble panel lead-inset with the names of the dead as well as those who had volunteered. 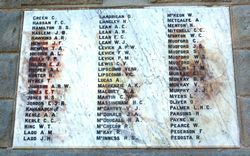 The monument faces west and contains a list 36 dead on the main panel. 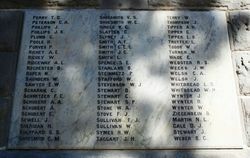 Panels set on the eastern, western and northern face of the monument also contain a list of those who had volunteered. 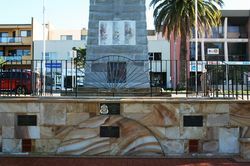 In late 1923 the Taree war memorial committee held a competition to determine the most appropriate form for a war memorial. A number of designs were submitted and locals were allowed to vote on their preferred design with the votes sold at 1/- for each ballot. First prize with the most votes went to a design comprising of Arch and Gates, second prize went to a monument designed for the intersection of Victoria and Manning Streets, third prize went to a design for a new children`s ward at the local hospital, and fourth prize went to a design for a new clock tower. 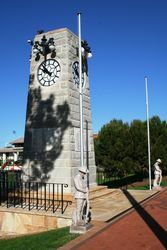 A decision was made in late May 1924 by the committee to select the clock tower and erect it at the main intersection in the town. TAREE, Saturday. 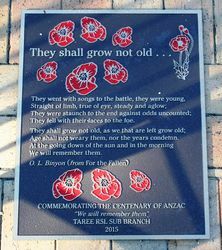 The Taree soldiers' memorial was unveiled this afternoon by Major-General Cox, in the presence of a large gathering. It is a large obelisk-shaped monument at the intersection of two of the principal streets with a four faced clock. General Cox said Australians were of great value as soldiers, and it was due to the fact that they were 98 per cent British. He hoped Australia would remain 98 per cent British. With pride he announced that the Australian army was the only volunteer army in the world, and there was nothing better. Sydney Morning Herald (NSW), 8th June 1925. 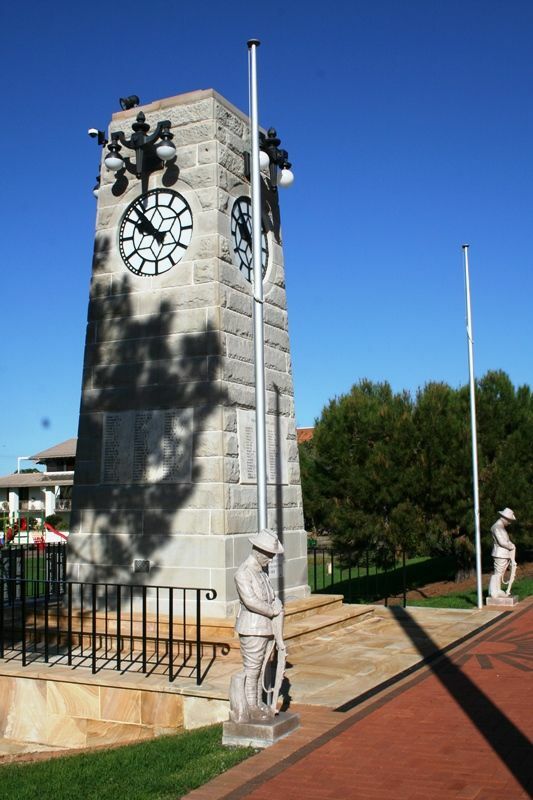 Erected to perpetuate the memory of the men of Taree District who served in the Great War. 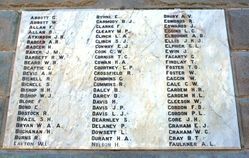 They whom this memorial commemorates were numbered amongst those who answered the call of King and country, left all that was dear to them, endured hardships and dangers, were prepared to pass out of the sight of man by the path of duty and sacrifice that others may live in freedom. Your sons are at peace, after having lost their lives on this land, they have become our sons as well."